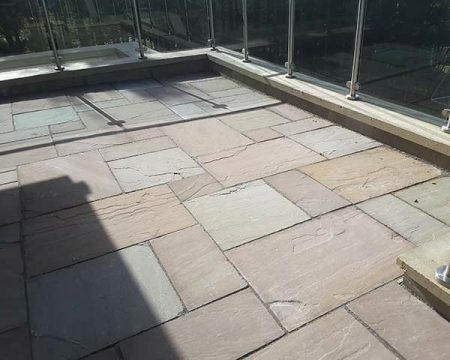 Our Camel Dust Sandstone Paving Slabs bring a beautiful combination of red and brown hues to a paved surface and are popular with landscaping professionals, landscape designers, contractors and homeowners alike. 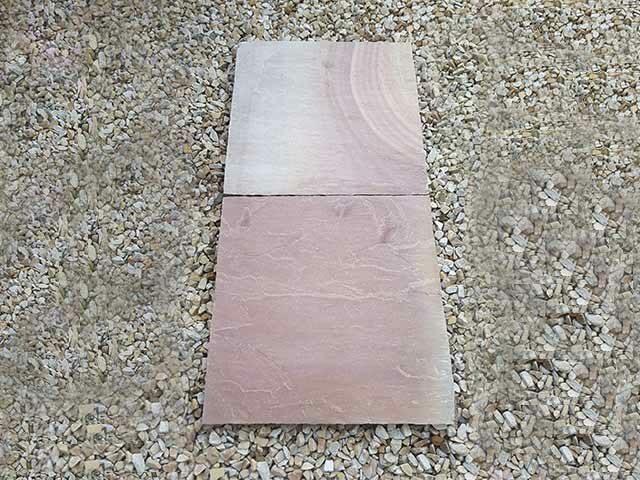 Suitable for many types of paving projects, these sandstone slabs are often used for patio and balcony flooring, wall features, walkways and pathways through gardens and parks. 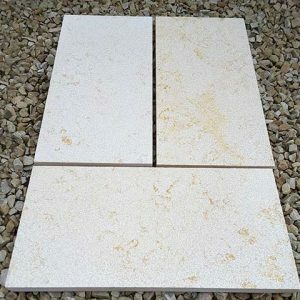 The Camel Dust Sandstone Paving Slab combines two beautiful varieties of stone: Raj Green sandstone and Modak sandstone. 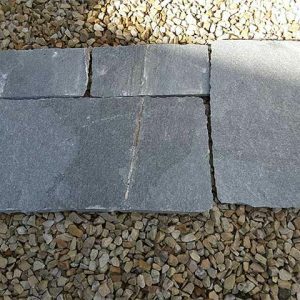 By incorporating two different types of paving slabs, the outcome will be a subtle two-colour look that adds character to a space. 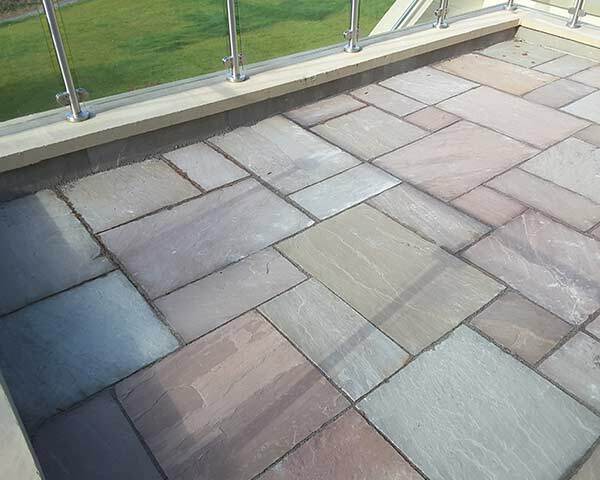 Whether you stagger the paving slabs randomly or create stripes or bands of colour with the stones, you’ll love the effects that are possible with these paving slabs. 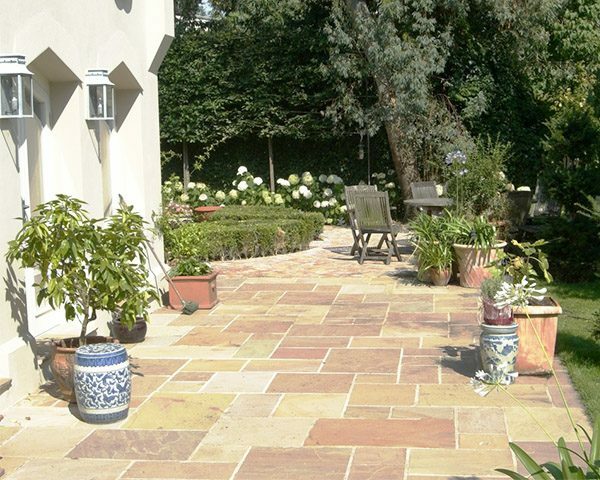 Sandstone offers a number of benefits for paving. 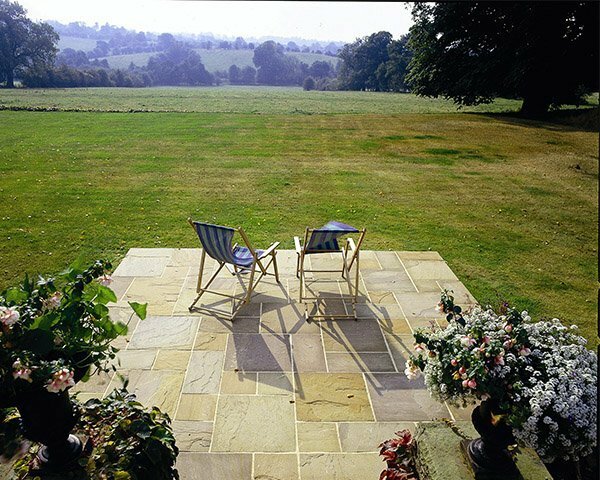 Our Camel Dust Sandstone Paving Slabs are easy for professionals and skilled do-it-yourself enthusiasts to install. 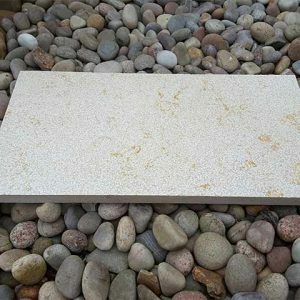 As a hard variety of stone with solid compression strength, sandstone is durable and will resist wear and tear for years to come. Sandstone is also porous and holds up well in damp climates, such as ours. 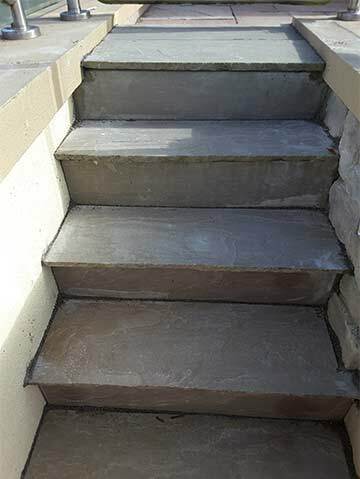 We recommend sealing the stone to prevent staining over time. Our Camel Dust Sandstone Paving Slabs are generally sold with three different sizes in an order. 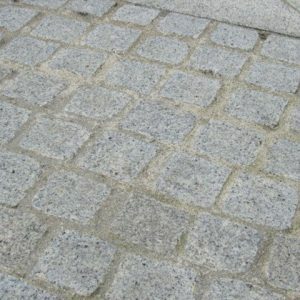 We provide a mix of 900-millimeter by 600-millimeter, 600-millimeter by 600-millimeter and 600-millimeter by 300-millimeter pavers in each order. 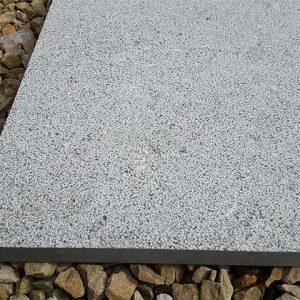 If you would like to purchase a single size or make a special request regarding the size of the stones included in your order, please contact us, and we will do our best to accommodate you. 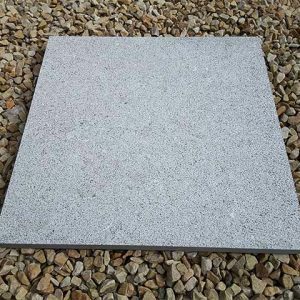 Our paving stone and all our patio slabs are priced by the square meter. 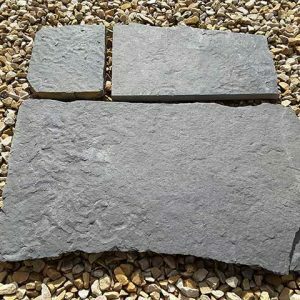 You can use our Online Calculator to estimate how much Camel Dust Sandstone Paving Stone you will need to complete your specific project. 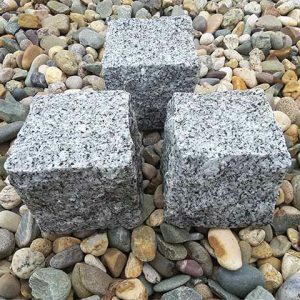 We offer different delivery options or a pick up service from out location in Athlone.